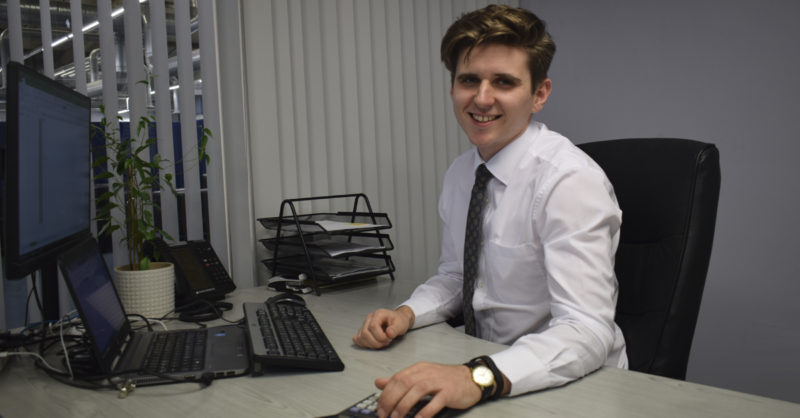 A remarkable on-going achievement from Parseq’s 25-year-old management accountant, George Hill. After three years of hard work and dedication, George is now only one exam away from qualifying as a CIMA chartered accountant (Chartered Institute of Management Accountants). Previously, George gained an Accounting and Financial Management BA (Hons) at Sheffield Hallam University and was keen to start his CIMA qualification soon after. One year into his studies, George joined the Parseq family and is now a shining example of how we’re tackling Yorkshire’s skills challenge. After a great deal of e-learning across multiple modules including organisational structure and financial strategic management, George will take his final case study exam in an assessment centre at the end of November 2018. George’s determination and enthusiasm really came through last year as he managed to complete an entire level of the qualification in just six months. His goal is to fully qualify as a CIMA chartered accountant by 2019, which is in more than reaching distance. The qualification covers three different levels; operational, management and strategic. Each level consists of three objective based tests and a case study. With George completing 11 out of the total 12 exams, he’s nearly ready to start a new chapter after achieving an astounding career milestone. After speaking with George, it’s clear he enjoys working in a commercial environment. He’s driven by revenue generation, opportunities for value creation and identifying potential cost savings. In his spare time, George loves to watch and play football. He’s also recently gained a new family member; Vincent the puppy, so he’s certainly got his hands full! We’d like to wish George the best of luck and we’re keeping our fingers crossed but we’re sure he’ll smash it.